Edinburgh Castle is one of Scotland’s most famous castles. Set on top of an extinct volcano in the heart of Scotland’s capital city. This impressive structure is a must see when near the city. The castle boasts many halls and rooms holding their own importance. 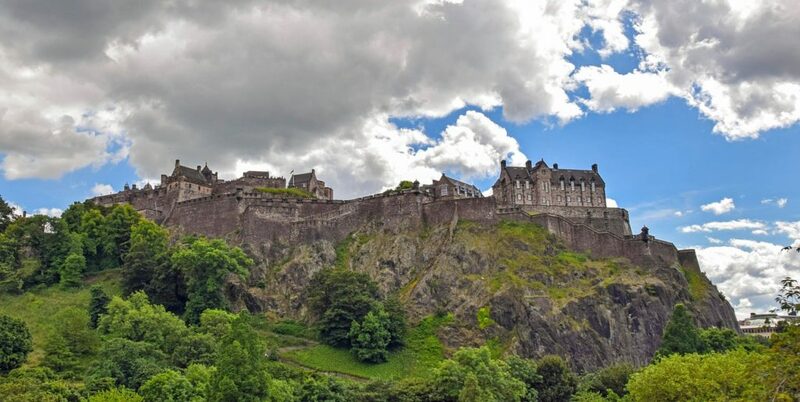 The Castle is home to the Scottish Crown Jewels, The Stone of Destiny; which has been used in the coronation of Kings and Queens for hundreds of years. Also within the walls of the castle is the enormous medieval cannon named ‘Mons Meg’ which was used to blast 150kg Cannonball’s over 3km away. A spectacle that always sees the crowds gather is the One o’clock Gun which fires each day (apart from Sunday). This dates back to 1861 when it allowed ships in the Firth of Forth to set the maritime clocks they needed to navigate the world’s oceans. Located atop Castle Hill, Stirling Castle is one of largest and most important castles in Scotland. As such it brought nobles, knights and foreign visitors of importance to stay in this beautiful and grand castle. Mary Queen of Scots was crowned at the castle in 1542 and the castle was also the chosen home of Scottish Kings and Queens from the Stewart family. Surrounded by cliffs on three sides, the castle was very strong defensively. This was seen when Bonnie Prince Charlie unsuccessfully tried to take the castle in 1746 during the Wars of Scottish Independence. There are many beautiful rooms and halls to discover during a tour of the castle; including The Great Hall & The Chapel Royal. Also keep an eye out on staff dressed in period costumes throughout the castle. Set on its own little island overlooking the Isle of Skye lies the 13th century, Eilean Donan Castle. It is without a doubt one of the most photographed castles in the world! A stunning setting the castle is surrounded by heavily forested mountain ranges; as well sitting at a point where three great sea lochs meet. Having been reconstructed in the early 1900 this mysterious castle is a wonderful place to visit and a ‘must’ stop off when passing the north west of Scotland. Another one of Edinburgh’s top attractions, is the stunning Holyrood Palace. The palace is located at the bottom of the famous Royal Mile, which extends all the way to Edinburgh Castle. The Palace is the official residence in Scotland to Her Majesty The Queen. 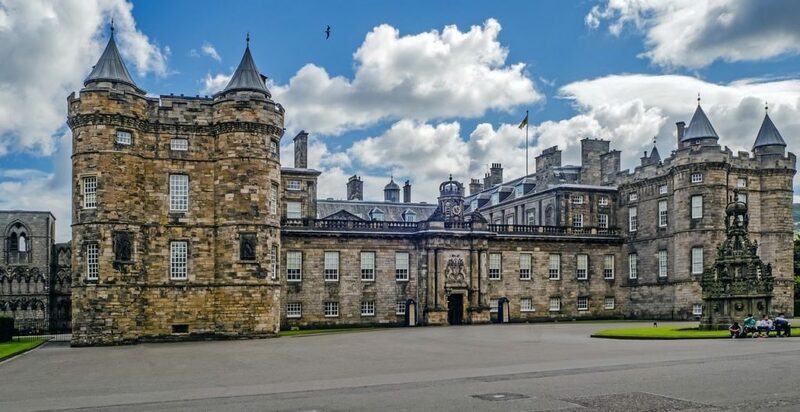 At the beginning of each summer, The Queen spends one week in residence at Holyrood Palace, where she carries out a range of official engagements and ceremonies. Furthermore, the Palace was also home to Mary Queen of Scot’s during her short and traumatic reign of the throne. It was recently featured in the 2019 Universal Pictures movie, Mary, Queen of Scots. Tours of the Palace take you round the stunning Gardens and grounds. As well as the many magnificent halls and apartments decked out in the finest of art, linens and ornaments; including the 17th century former King’s apartment and the 16th century apartments in the north-west tower. Once one of Scotland’s largest castles, the ruins of Urquhart Castle sit on the banks of the mysterious Loch Ness in Inverness. 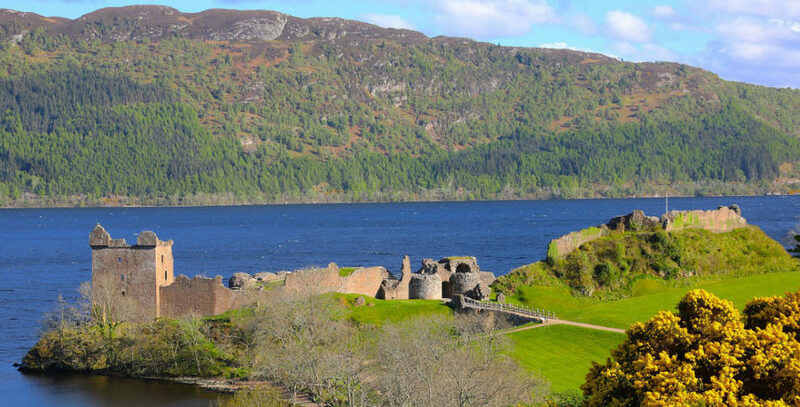 Discover more than 1,000 years of stirring history centred on the Great Glen. The medieval fortress, has seen some of the most dramatic chapter’s in Scottish history. Specifically, it was subject to major conflict during the 14th century in the Wars of Scottish Independence. The control of the castle went back and forth between the Scots and the English and the last English residents during the Jacobite rising blew up the castle in order to prevent future occupation by the Jacobites. Boat trips are available with stop offs at the castle ruins. We recommend a climb up the Grant Tower to enjoy stunning views of the loch – will you be able to spot the famous Loch Ness Monster, Nessie?! If you wish to include a visit to any of the attractions listed above during your tour to Scotland please specify on our enquiry form. Alternatively please let us know of any other places/ attractions you would like to visit.